The Easy Vape 5 Vaporizer is an efficient and affordable whip-style vaporizer that is ideal for people who are new to the practice of using vaporizers to achieve material al relaxation. It features an intuitive temperature control system with a digital LED display and gives users the options to time out their sessions with automatic shut-off mechanism. 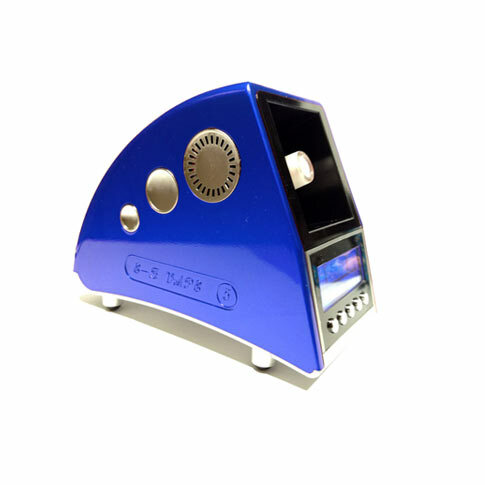 The Easy Vape 5 Vaporizer is an efficient and affordable whip-style vaporizer that is ideal for people who are new to the practice of using vaporizers to achieve material al relaxation. It features an intuitive temperature control system with a digital LED display and gives users the options to time out their sessions with automatic shut-off mechanism. Featuring direct draw delivery through a medical-grade tube, the Easy Vape 5 delivers all the flavor and active ingredients from your materials with none of the toxic byproducts. For material al enthusiasts looking to get the benefit of their materials without having to worry about harmful carcinogens, the Easy Vape 5 Digital Vaporizer is a bright shining star in the Vaporizer Galaxy. HOW DOES THE EASY VAPE WORK? The Easy Vape 5 is a no-nonsense, uncomplicated piece of equipment that is designed for the vapor enthusiast who is on a budget. 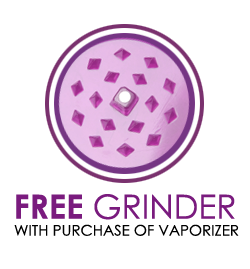 With this fine device, you will get all of the vapor quality from a higher priced unit like a Silver Surfer or Da Buddha Vaporizer, but for a fraction of the price. What’s most important is that the Easy Vape 5actually does vaporize, rather than burn the materials or result in combustion. The Easy Vape 5 runs off of an internal ceramic heating element which is powered by AC current. The heat up time is roughly 1:00-1:30 depending on the temperature you’ve chosen. It’s important to remember that the temperature you’re vaporizing at is directly proportional to the intensity of the vapor being produced. We recommend starting no higher than 360 degrees just so you get used to the science of vaporizing and the size of chambers you should load. The size of draw that you’re taking will depend a lot upon the intensity of the hit you’re taking in. You can regulate the size of the hit by regulating the intensity of your inhalations. With vaporizers, you’ll actually get larger clouds if you take your time, breathing in gently, rather than huffing it quickly like you might be used to on a standard water pipe. The Easy Vape 5 is a great unit to get your rhythm down with, before moving on to higher-end more expensive vaporizers that are notorious for wasting materials if the user doesn’t know exactly what they are doing.To start the heat flow, simply turn on the Easy Vape 5 and use the plus/minus buttons on the front to adjust your digital display which sets the desired temperature. You can also use the timer buttons to customize your automatic shut-off time. This feature was built in so as not to waste electricity and burn down the internal heating element. 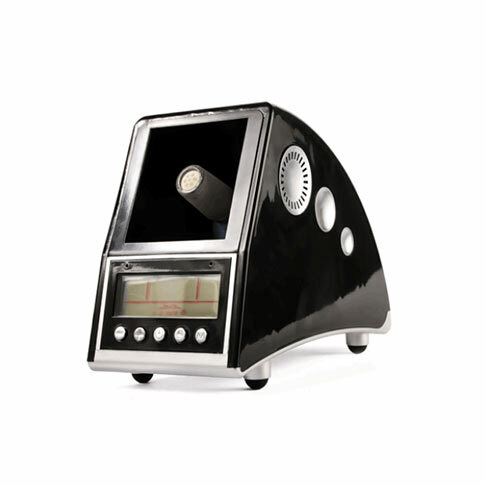 The Easy Vape 5 Vaporizer is about the size of a standard digital alarm clock. Measuring 3.5 inches tall by 6.25 inches wide by 8.875 inches deep, the Easy Vape 5 is an ideal home vape thanks to its clever desktop aesthetic and ability to double as a personal alarm clock. 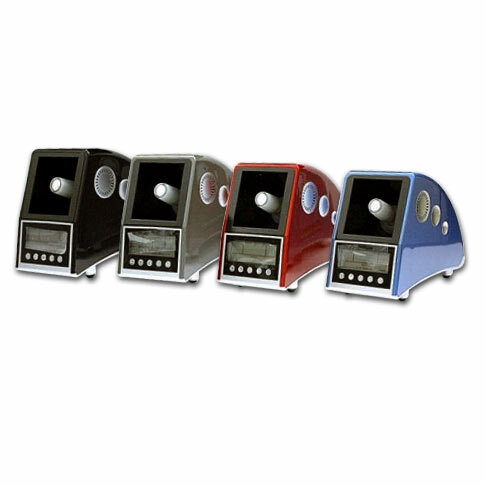 The Easy Vape 5 is available in four distinct colors: Blue, Black, Red and Silver. WHY SHOULD I BUY AN EASY VAPE 5? We love the Easy Vape 5 Vaporizer thanks to the space-age design, the rapid heat-up time, and the consistency with which the heating element cooks the materials . We also love the amount of materials it conserves. It’s probably a good point to remind you that virtually all of the vapes in the Vaporizer Galaxy function best when they are loaded with leaves that are finely shredded up before loading into the wand or material al chamber. With the Easy Vape 5 you have the option of resting the wand onto the heating element without the having to keep your hand there; or you can keep your hand on the wand and turn the chamber every couple of inhales. 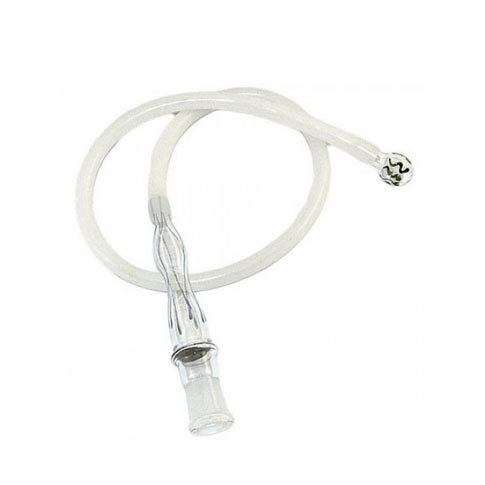 This is called a ‘hands-free’ connection because many whip style vapes require the user to hold the material al chamber up to the heating element for the duration of the session in order to heat the materials . The Easy Vape is tilted at an angle so that your materials will stay safe in the chamber, but you aren’t required to hold the wand in order to start the flow of vapor. *PRO TIP*Many connoisseurs in our circles recommend rotating the wand regardless of whether your whip style vaporizer is a hands free connection or not. They maintain that regular movement ensures more airflow resulting in optimal vaporization and less risk of combustion. Whip Style Operation – This is the classic means for inhaling directly through a tube on a vaporizer. 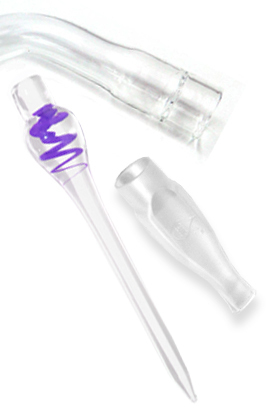 Before the balloon bag technology was invented, the only way to get clean vapor through direct draw was by using a tube, or “whip,” as the Easy Vape 5 employs. 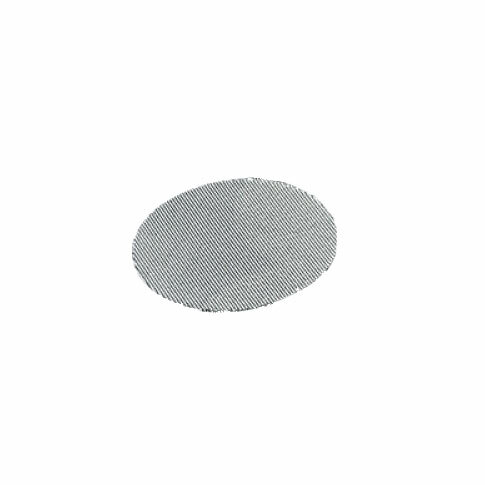 We stand by this method as the most efficient as you are able to watch exactly how much of your product is getting vaporized, whereas the balloon systems hide your materials so you’re not sure exactly how cooked they are getting until the process is complete. 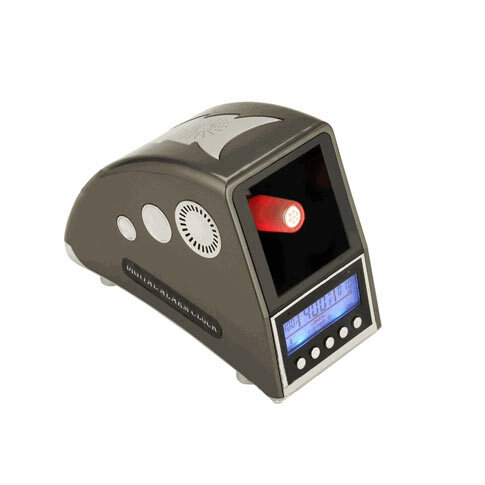 Complete Time & Temperature Control – The first thing you’ll do when you turn on the Easy Vape is to select your auto-shutoff time and the temperature at which you want to vaporize your materials . Both of these functions can be easily achieved using the buttons on the front of the vape. Manufacturer’s Warranty – The Easy Vape 5 is backed by a 5-Year Manufacturer’s Warranty which covers any defect relating to the heating element. "After some issues, all is well"
"Excited to get my vaporizer finally, and there was broken glass...everywhere. Thankfully this place has good customer service, cause they got a new piece out to me a few days later. The easy vape also comes with no instructions, weird right? No problem, found a video and it's up and running finally. Heats up, produces okay vapors, could be a bit more but honestly, for the price, it works just fine for me. " 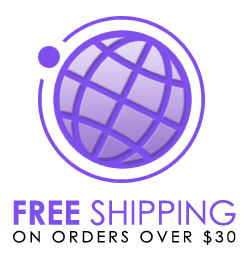 "First of all I would like to thank the customer care at Vaporizer galaxy for making this such a great first experience with vaping. I got an email the day after I purchased this telling me it was out of stock, offering me a similar product. I declined. Before this email I got a call from them, but I was on my way to a long lit class and I told him I couldn't talk at the moment and he was very understanding and said he would just email me instead. I started to become antsy about this website and its legitimacy. I sent several snarky emails and then called again. The person was viewing my emails as I called him, his name was John, and he was very friendly, helpful and patient when I voiced my concerns. He offered me different colors of the same product, I rejected. I asked him how long would it take for the product to be back in stock, he said 7-10 days. Then I asked how long to ship, and he said 1-2 days. I decided just to wait, and thanked him for all his help. He said he would call in about a week or so to touch base and review this order before it was to ship out. That turned out to be unnecessarily kind since I got my vape two days later. This vape tastes like whatever you load it with. Smoother than I could have ever imagined, smoother than a bong, e-cig, hookah or any other vape I've tried. Taste is pure and not burnt. Oh, it's delicious. 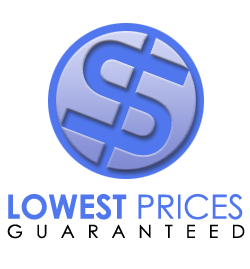 Best value on the internet especially for the amazing service and great product! Mine did smoke a little when I got it, so don't worry, probably just some dust getting burned(it subdued and eventually vanished over the course of 5-10 minutes). Pull slowly to maximize the hit. In total, a total success. also DISCREET SHIPPING AND BILLING... SCORE!!!" "It's ok for the money"
"I bought this a few months back. It works well but don't expect it to give you super high quality or quantity vapor. For the price, it is a decent value. Unlike a lot of other vaporizers, it is fairly easy to use. This is one of the main reasons that I would recommend it. I recommend watching online videos if you'd like to see how it works! " "Is there anything better for the price?" "If you can find a better vaporizer for under $60, please - show me. For my money, this little guy is one of the best investments you could make." "Good deal but hard to find in stock." "As with every review the EV5 is easy and cheap. It took 4 different companies to find one that had any in stock, glad that I found Vaporizer Galaxy. You have to learn how to put herb in the wand and to tilt the unit so the herb doesn't fall out. 365 to 380 seems to be correct temp to vape with this machine."